Modern finance in theory and practice relies absolutely on mathematical models and analysis. 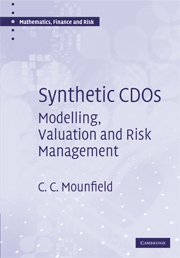 It draws on and extends classical applied mathematics, stochastic and probabilistic methods, and numerical techniques to enable models of financial systems to be constructed, analysed and interpreted. This methodology underpins applications to derivatives pricing for equities and fixed income products, asset-liability modelling, volatility, risk management, credit risk, insurance analysis and many more. This new series will consist of books that explain the processes and techniques of the new applied mathematics, how to use them to model financial systems and to understand the underlying phenomena and forces that drive financial markets. The audience for mathematical finance ranges from mathematics and probability through econophysics to financial economics, and the series will reflect this breadth of appeal, while maintaining a firm footing in the tradition of applied mathematics. Books will be pedagogical in style, enabling them to be used for teaching in universities, business schools and financial institutions, and sufficiently self-contained for stand-alone use. Mathematical techniques will be motivated by examples and their use illustrated through applications, and complemented by computation.